This internship is specifically geared toward some of the same honed areas of my undergraduate coursework and research. Being able to work in a more specified way, and in a more focused approach, I am able to get into the more technical parts of specific issues, such as climate change and global climate politics. Virtually every skill - hard or soft - that I have improved through my Liberal Arts education, or involvement in clubs and activities offered through the various departments in the college, have helped me to be able to communicate well with the Ambassador and her advisors, as well as members from other missions to the United Nations. My typical day starts at 6:45 in the morning. While I am walking to the bus stop, I check the UN Journal, which is a website that updates in live-time to reflect the ever-changing schedule of meetings and consultations that take place at the United Nations each day. I make note of meetings that I think will be of consequence to the Mission. Once I arrive at the Mission's office, I speak with the Mission's legal advisor, and develop my schedule for the day. Sometimes my schedule is entirely research and background information development, while other times it consists of attending hearings, meetings, or consultations with members of - or go on behalf of - the Mission, to take notes or vote on resolutions for the Republic of the Marshall Islands. The most exciting part of my internship is waking up everyday, and going to work for a country facing issues that I am particularly passionate about, at an institution I believe in, and in one of the most exciting cities in the world - New York City. The most challenging part of my internship is being well enough informed on a variety of topics to speak confidently and form evaluations of certain resolutions, issues, or courses of action. 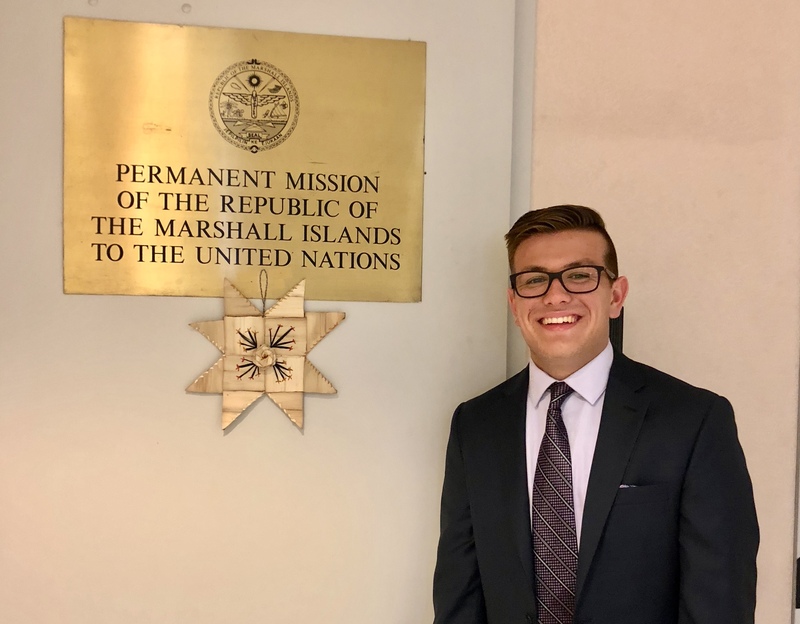 The most meaningful experience of my internship has been getting to shadow the Ambassador directly, and engage in dialogue about the impacts of climate change and paths to sustainable development.